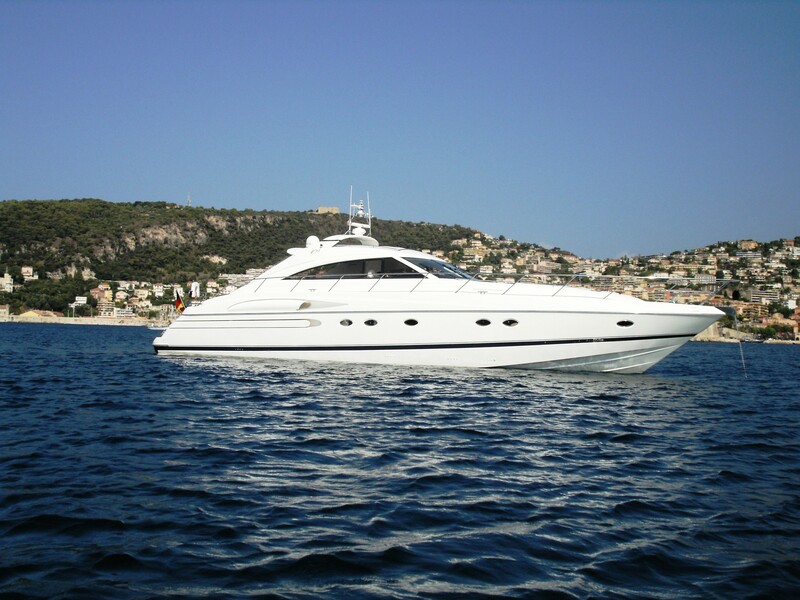 Luxury motor yacht PURA VIDA was built Princess Yachts based in Devon, England in 2003, she measures 20.3m (66.7ft) and accommodates 4 guests in 2 deluxe double cabins. 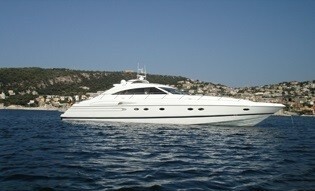 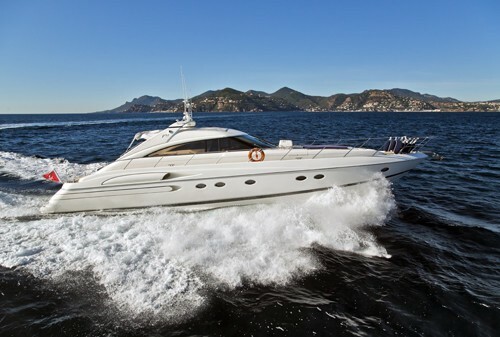 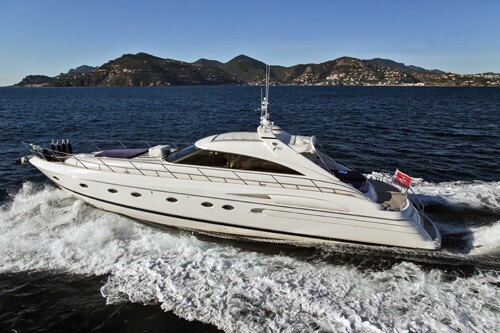 M/Y PURA VIDA is available for luxury charters in the West Mediterranean year round. 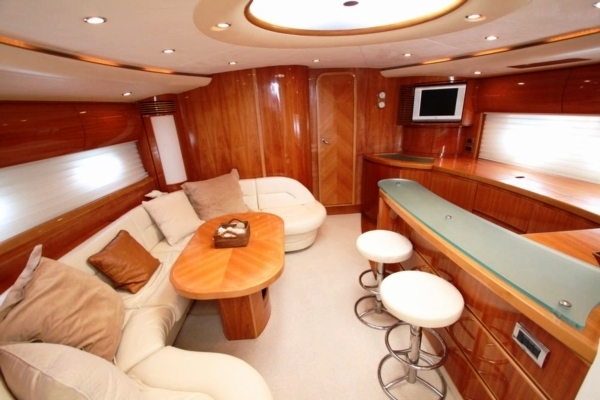 Motor yacht PURA VIDA boasts ample living areas both indoors and out. 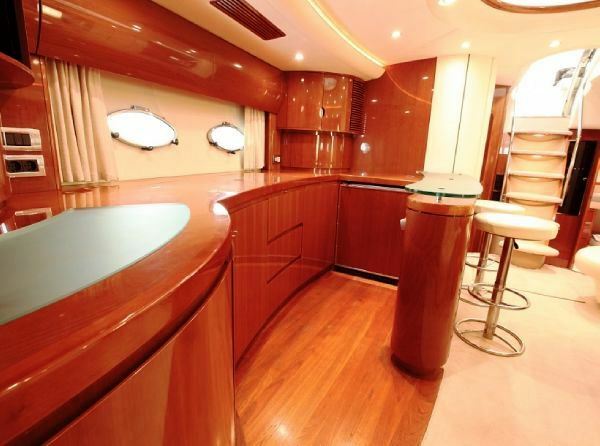 The main salon is light and spacious with warm tones of quality wood panels. 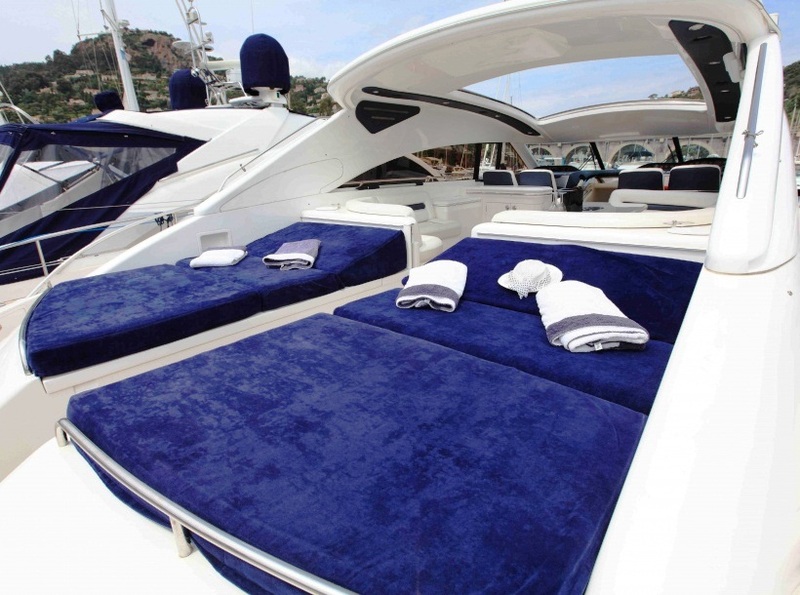 The starboard side offers a plush U shaped sofa with coffee table, on the port a wet bar with stools invites guests to an evening aperitif. 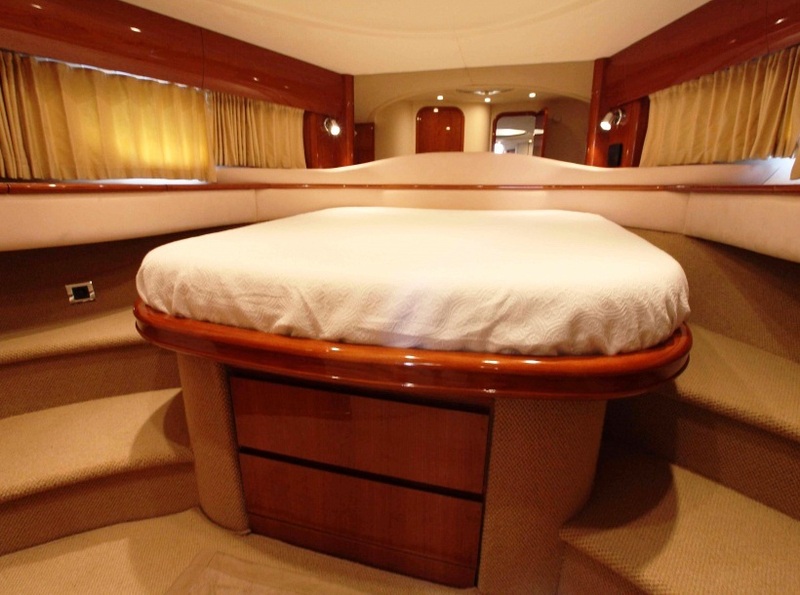 Aft of the salon is the master stateroom with double bed and en-suite facilities, while a VIP cabin is forward of the salon with en-suite facilities, thus ensuring complete privacy. 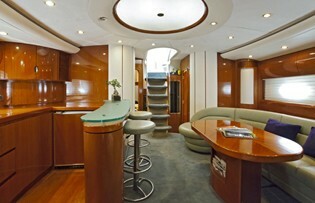 Charter yacht PURA VIDA features a second salon on deck with ample seating and an alfresco dining option which is created by a unique retractable ceiling. 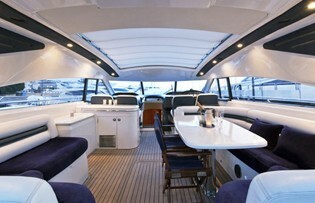 Sun worshipers and outdoors people will have plenty of options to choose from on the PURA VIDA motor yacht. 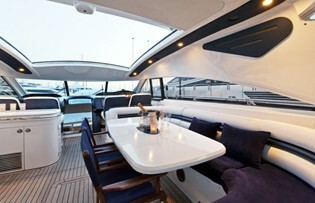 Aft of the upper salon are 2 double sunpads, ample deck areas and an extended swim platform, ideal for easy water access. 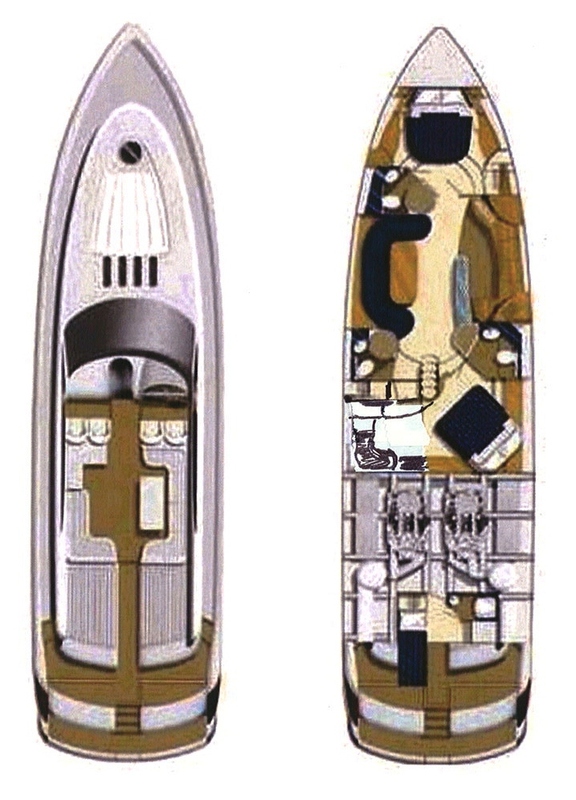 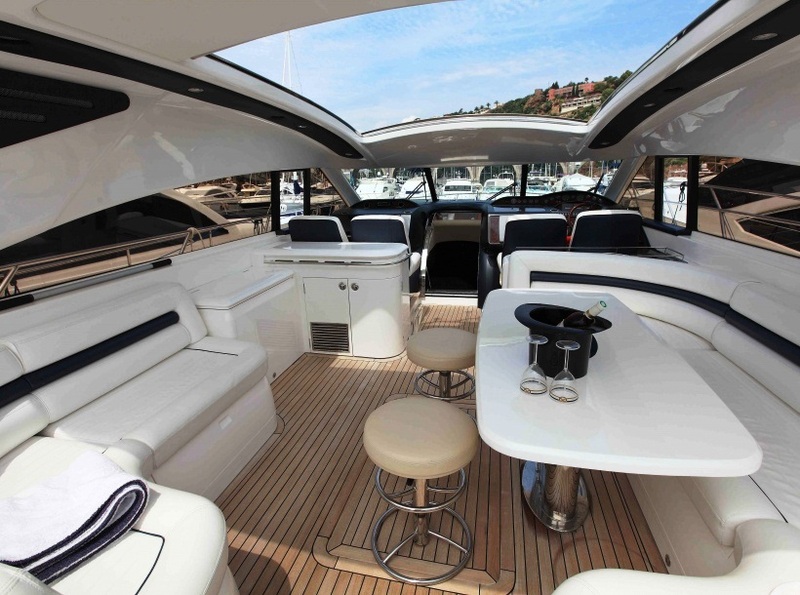 The foredeck boasts a further double sun pad. 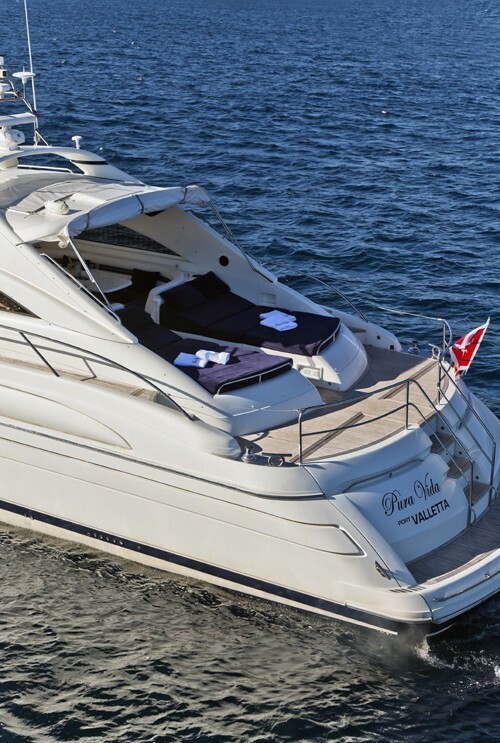 The Princess yacht PURA VIDA is powered by 2 MAN 1050 engines capable of quickly cruising at 30 knots with maximum speeds of 33 knots, her beam measures 5.08m (16.7ft) and her draft is a shallow 1.3m (4.4ft), making her the ideal charter yacht to cruise the West Mediterranean. 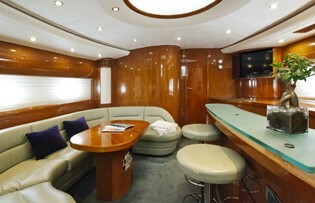 M/Y PURA VIDA offers luxury accommodation for 4 guests in 2 double staterooms. 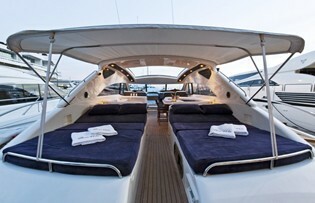 The master stateroom is aft with en-suite facilities while the VIP cabin is forward with en-suite facilities. 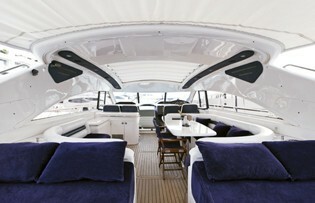 Both cabins receive plenty of natural light, offer a serene neutral décor and are generous in size. 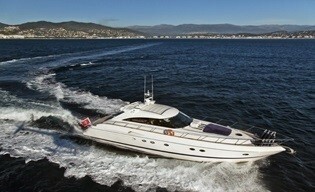 Yacht PURA VIDA has the following Tenders & Toys: A tender Avon. 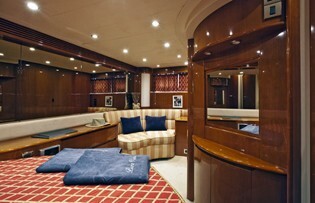 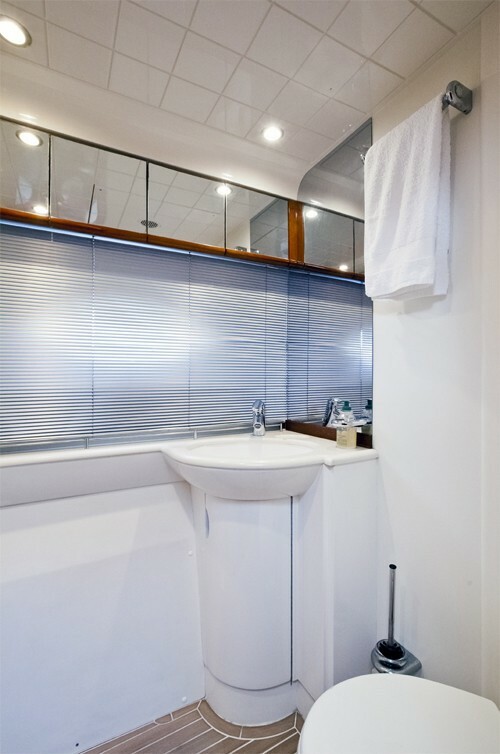 Audio Visual Equipment and Deck Facilities include a CD, DVD and TV in all cabins and Salon.